For an executive assistant to be successful in a world increasingly populated with virtual assistants and artificial intelligence, it’s important to examine the best ways to plan for career progression. This often takes the form of developing a career roadmap – a plan to help you stay on the cutting edge of the profession and consistently find ways to apply strategic innovation in any role you fill within an organization. To gain a clearer understanding of what this career roadmap entails, we sat down with Julie Perrine, Founder and CEO of All Things Admin and author of The Innovative Admin™, The Organized Admin™, and Become a Procedures Pro™. Julie believes that developing a career roadmap is truly the best way to create job security and put yourself in control of where you’re going next. It will allow you to course-correct more quickly when life throws you a curve ball and help you adapt to inevitable career and workplace changes more productively. Here’s what she had to say on that subject and more! Can you provide a brief overview of your career roadmap? I refer to it as a strategic administrative career plan. Just as a company creates a strategic plan to keep them on track, individuals need one, too. It looks at where you’ve been, where you’re going, and how you’ll get there. Then it helps you make better choices on how you invest your time and money in making it happen. So it really becomes the roadmap for how you get from where you are to where you want to be professionally. Assistants are constantly confronted with daily setbacks, for example, in the form of interruptions or inability to move a task down the pipeline. How do you prioritize and plan for setbacks? Over time, you learn what the trends are in your office and how to work with various work styles for bottlenecks, interruptions, or distractions in getting things done the way you want to. I’ve found that having good systems for how you approach your work in every area – travel planning, event and meeting planning, calendar management – all comes back to having good systems in place. This also means learning as much as you can about those you work with – their strengths, work styles, communication styles, etc. – and creating a system that works for you and for them so you can quickly overcome the setbacks and bottlenecks when they pop up. What was the greatest professional setback you faced as an executive/administrative assistant? I was hired as a senior administrative assistant supporting three executives and their teams. Over time, I transitioned into assistant project management responsibilities. I tried to get the job description and title changed along with a salary increase. I did my homework. I knew what the market would bear. I talked to all kinds of people throughout the company to make sure what I was proposing was more than reasonable. It went through a lengthy HR process to get approved. Eventually, they approved the title and job description but barely touched the salary. It was still admin pay — not project management compensation. About six months later, I left the company, and they hired two people to replace me – an executive assistant immediately and then, a few months later, an assistant marketing manager. I believe the “old school” mindset of what an assistant could or should do with his or her career was a factor. I was young and felt somewhat intimidated to push back to the degree that I probably should have knowing what I know now. Considering all of your achievements in the administrative profession, what is the one that took the most effort to achieve? How did this accomplishment impact your career? Writing my first book, The Innovative Admin™. It was an immensely long and painful process to bring that book to life. Watching a friend battle cancer helped me realize that even if finishing my book only helped one person, it would be worth doing. Once the book was finished, I was terrified of what people would say about it. What was life changing for me were the emails and notes and posts I read from people who did read it and the incredible transformations it fostered in helping them hit reset on their careers and preparing for the world of work that is evolving before our eyes. In my book I talk about the Innovation Mindset Adoption Curve…and now having experienced the process of implementing my ideas time and time again throughout my career and navigating the highs and lows of that process, I can be a champion of this innovative thinking in others. And that motivates me to want to do more and more to support assistants in this endeavor. We recently spoke to an EA from Chicago who had over 20 years in experience with the same executive. She recently learned her role would be coming to an end, and like many, she was worried that her lack of experience in different roles would hinder her ability to find a position with a comparable salary and benefits. What do you recommend for EAs in this position? You cannot get comfortable in any position supporting any executive in the 21st century workplace we live and work in. We are all one business decision away from having the rug ripped out from under us. And it may have absolutely nothing to do with you or your skills or your experience. This means every single one of us has to invest in keeping our skills and business acumen current and on pace with the trends in our profession, our industries, and the areas of the world in which we live.For instance, you may not be a social media manager today, but you’d better know how social media is being used corporately because the next job you get may require you to manage the social presence for your company. You may not be an event planner today, but you might need the skills in your next role, so take advantage of your memberships in professional associations or volunteer for community or corporate charity events and get some experience to add to your resume even if your current day job doesn’t give you these opportunities. You may not have on-the-job experience in a given area, but that doesn’t mean you can’t be very educated and informed on the topic and have your list of resources and experts ready to tap into at a moment’s notice should your situation change and you need to do those things in your next position. And you can document your level of knowledge on these things using tools like social media, a professional portfolio, or a personal blog which gives you more credibility, too. EAs often master their role and are looking to take on more. For some, this means starting a monthly admin meeting within their organization to discuss best practices. For others, it means adding project coordination to their job description or even stepping out of the EA career altogether and going down a new path. How do you know when it’s time to take it to the next level and what’s your advice for EAs seeking more? If you’re starting to feel bored, stalled out, unchallenged, or complacent in your daily work…it’s time to give yourself a kick in the career! “Start here, go anywhere” should really be our profession’s motto. If you want to do more of what you’re currently doing, great. If you’re tired of it and want to shift your role into something more specialized or even step out of admin support entirely, that’s fine, too. But all of this involves being acutely aware of your own skills, abilities, strengths, and personality type and what your mission and vision is for your life and career. Only you can answer these questions and make these decisions for yourself. In some instances, an EA might not be compensated accurately, or may be supporting an executive who isn’t treating them professionally. What is your advice for those looking to change opportunities? Do your homework. Get the facts. Be willing to have the crucial conversations around these highly delicate topics. But ultimately if you can’t move the needle in a productive way, then you have to be willing to walk away. That’s why it’s so important to think about being prepared for career moves even when you don’t need a new job and be doing all the things you need to be doing to be prepared to get another job, such as having your resume current, having a professional portfolio of work samples assembled, making sure your social profiles are positively representing you personally and professional when recruiters and potential hiring managers come across them. I once found myself in a workplace bullying situation that I endured for 18 months before I decided my best option was to leave. I tried multiple strategies to address it. I tried to work with HR and I talked at length to my executives about it. And I spent nine of those 18 months creating my transition plan so I was ready to make my move in a productive way when the time came. I’ve never looked back. For all the young assistants who are just starting out, what is your greatest piece of advice? Engage in daily habits that help you develop your business acumen. Get as smart about the industry you work in and about how business runs as a whole as you possibly can. This is how you become a recognized and valued contributor to the executive and teams you support, how you build a knowledge base and a network of people and resources you can tap into at a moments notice, and, ultimately, how you become a strategic business partner your executive can’t imagine their professional lives without! It’s Time to Make a Plan! The assistant career doesn’t come with a user manual. It’s up to the individual to prepare and plan for the changes coming up the pipeline. Luckily, assistants are planners by nature. You wouldn’t let your executive go without a plan, so make a choice to plan for your tomorrow today! One step you can take to progress your career is investing in YOU. 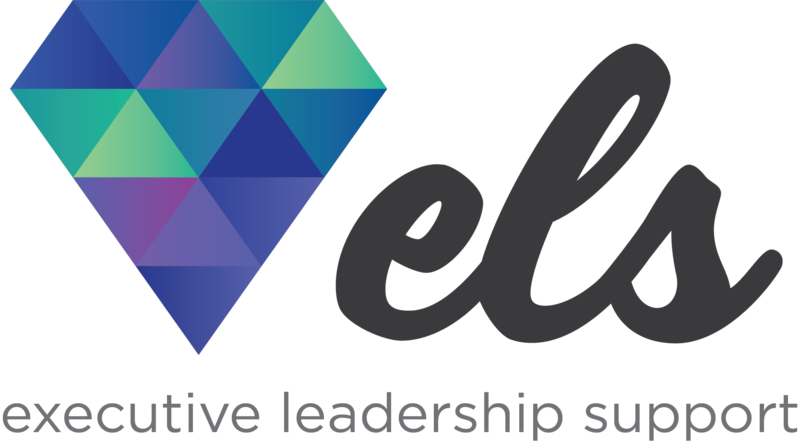 ELS offers ample resources to assistants in the form of our once-monthly newsletter, ELSx free webinar series, articles on the Support the Supporter’s blog, and at our events.